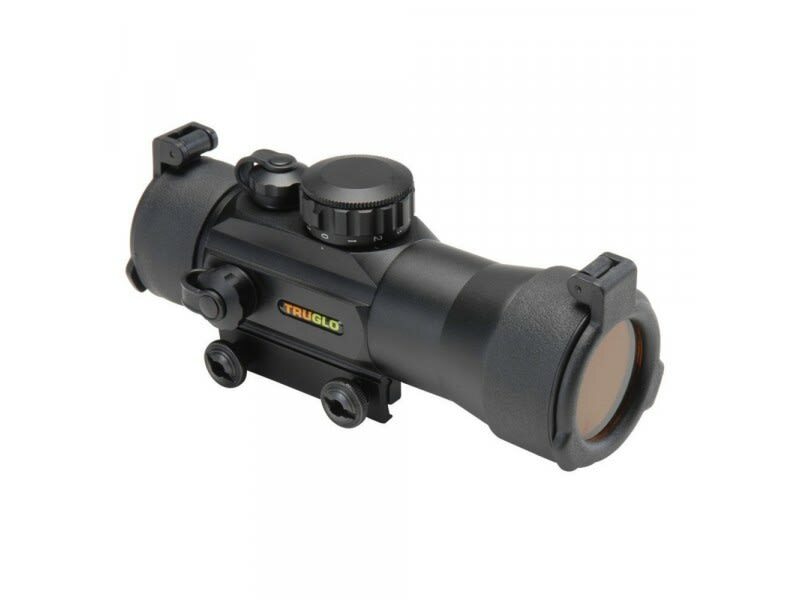 The Truglo Red Dot 2x42mm Rifle Scope is waterproof, fog proof, and shockproof, this scope also is equipped w/ an integrated weaver-style mounting system, and comes w/ easy to adjust windage and elevation turrets. 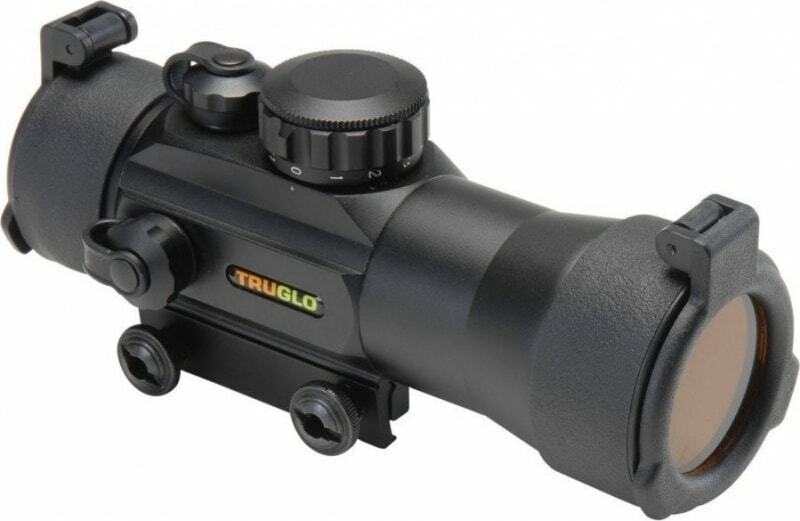 The Truglo Red Dot 2x42mm Rifle Scope is precise, accurate, durable, and dependable. 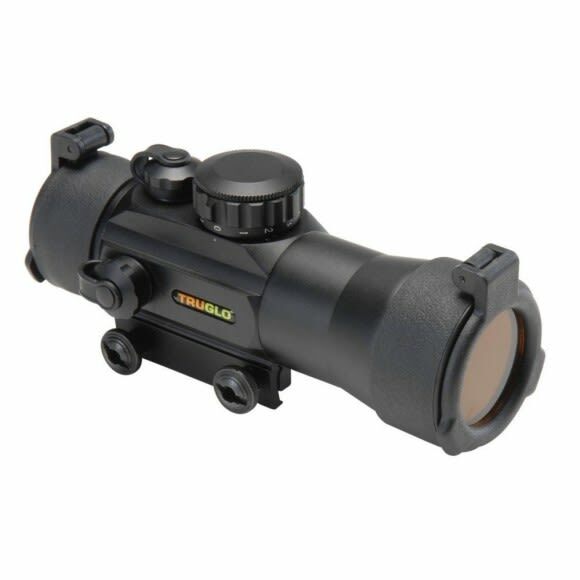 This waterproof hunting scope is designed for use with shotguns, handguns, muzzleloaders, paintball, and crossbows. It has an integrated weaver-style mounting system. What's more, it includes elevation adjustments and clicking windage. In addition, it provides a wide field of view to aim at the target and shoot with accuracy without having to strain your eyes.